Microsoft released its latest cumulative updates for Windows 10 this past Tuesday. KB 3194798, which brings Windows 10 Anniversary Update version 1607 up to OS Build 14393.321, continues to generate all sorts of complaints. Chief among them: It still won't install on many machines. It's the eighth cumulative update for Win10 Anniversary Update in the past 10 weeks. 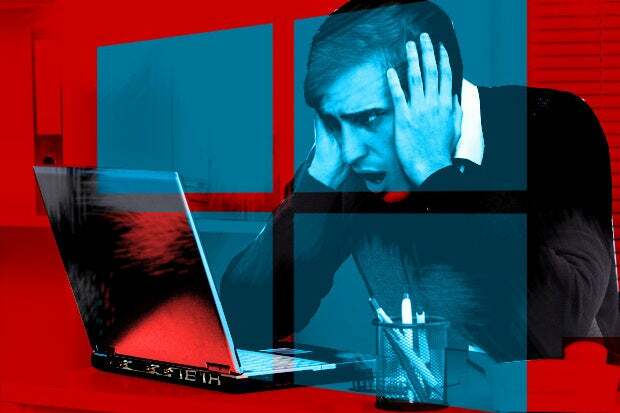 For the very small slice of Win10 1607 customers who were once Windows Insiders, then reverted to normal "current branch" Win10 without re-installing, the repeated installation of Win10 caused no end of headache. It's a problem that first appeared with the preceding Cumulative Update, KB 3194496, released Sept. 29. I saw the problem in action while watching Leo Laporte struggle with his repeatedly malfunctioning Surface Book on the latest edition of Windows Weekly. Mary Jo Foley and Paul Thurrott step Laporte through the installation of a Microsoft-issued patch (start at 54 minutes). Back on Oct. 6, Ed Bott at ZDNet had a thorough discussion of the botched settings and Microsoft's downloadable tool to fix the problem. The fix works for some, doesn't for others. As Foley says, "If the installation fails, keep trying." Bott says Microsoft promised the patch will be available in Windows Update at some point. I haven't seen it. That's only one segment of the non-installing faction. On the Reddit thread devoted to the update, poster life036 says, "I've got 6 SP4s in deployment right now and KB3192441 / KB3194798 are failing on all of them. Tries to install for an hour, then fails and rolls back for another hour." There are many more complaints. Looks like Microsoft still hasn't fixed the bug with with freezing and randomly disconnecting external drives, which I discussed on Aug. 4, again on Sept. 13, Sept. 15, and Sept. 30. That problem is still there, although the SSD freezing issue, which I discussed before, appears to be fixed. There's a new report of 100 percent disk usage, which seems to be fixed by setting AHCI Link Power Management to active. That setting has also been credited for solving a freeze on installation. After installing KB3192441 I wanted to do a clean-up: Disk Clean-up said there were 3.99TB of old Windows Update files. My SSD is only 32GB! Now I see more people having this issue. What's going on? I did the clean-up anyway, took about 10 minutes and now it's all fine. I'm seeing multiple reports of this patch knocking out USB service on the Surface Pro 3. Many people report that the USB Host Controller won't start after applying the update, rendering the Type Cover, USB port, and USB in the Dock useless. Microsoft's getting closer, but I still don't recommend that folks move to 1607, the Anniversary Update. Wait for the kinks to get ironed out. If you're using Win10, you'd be well advised to stick with the Fall Update 1511 and continue to block the Anniversary Update. Or you can join the unpaid beta team on 1607. The Windows 10 cumulative update released on October 11th (KB3194798) includes quality improvements and security updates for Windows 10 customers, and we are not currently seeing widespread issues with the upgrade process. We encourage any customers having trouble with the Windows Update process to reach out to Microsoft Customer Support.